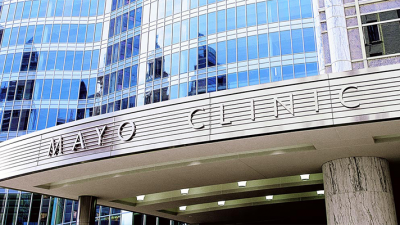 The Mayo Clinic calls opioid drugs powerful painkillers, often used post-surgery or for severe chronic pain, affecting an estimated 50 million Americans. They include morphine, methadone, OxyContin, Vicodin, Norco and Demerol, among others. Heroin is an illegal opioid. Ones used for chronic pain, unrelated to cancer, doubled over the past decade – because drug industry bandits promote them, producing a bonanza of profits at the expense of an addiction and overdosing epidemic. It recommends non-opioid medications to manage chronic pain, avoiding addiction and overdosing most often, providing more effective long-lasting relief. On Tuesday, Trump’s choice as drug czar, Rep. Tom Marino, withdrew from consideration after a WaPo/CBS 60 Minutes investigation revealed he shepherded the 2016 Ensuring Patient Access and Effective Drug Enforcement Act (EPAEDE) through Congress, passed unanimously, signed into law by Obama. It’s disgraceful legislation, undermining the Drug Enforcement Agency’s Office of Diversion Control, charged with preventing, detecting, and investigating the diversion of controlled and other drugs from legitimate sources, cracking down on other abusive practices, monitoring distribution of pharmaceuticals, along with ensuring an adequate supply for medical, commercial and scientific needs. Marino altered EPAEDE’s language, undermining the Office of Diversion Control’s ability to suspend drug companies not reporting excessively large orders of opioids and other controlled substances. In September, Trump nominated Marino for drug czar. Following the WaPo/60 Minutes report, undemocratic Dems called on him to withdraw the nomination. His nomination was outrageous in the first place. On Monday, Trump said he’ll declare a national emergency next week to address the opioid epidemic – his initiative likely to be more cosmetic than responsible. Repealing EPAEDE and cracking down hard on drug industry bandits should be prioritized. They made pill-popping a national addiction, including harmful drugs like opioids. They spend billions of dollars advertising their products annually, heavily on television, influencing naive consumers, unaware of risks to human health powerful drugs pose. Profits alone matter. Industry bandits do what they please, supported by Washington, failing to curb their abuses. Industry lobbyists control congressional members, presidential aspirants, and White House occupants, Republicans and undemocratic Dems sharing guilt. Obama signed abusive EPAEDE into law. He’s as culpable as Marino for shepherding it through Congress. Drug industry “bandits” benefit hugely at the expense of human health and safety.